Check out some of the current work Pylon is producing since to move to North Carolina. Shooting and editing is what Pylon does. One of the videos is all 2D animation, which lends itself to social media very well. 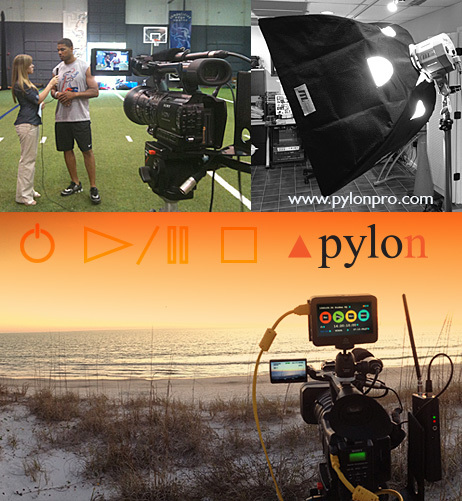 Click in the Video Production section to view videos and contact Pylon to start work on your video now. Pyon is now based out of Charlotte NC. We are still focusing on all aspects of video production. Live events and speaking engagements...sporting events and all post production. Contact us if you have project or a gig in mind. A big part of our business comes from shooting people wanting to get a corporate message out. It might be a executive sitting behind a desk, or a IT person talking about current trends in technology. Either way we have the camreas, lights and mics to get your company what they need. SHOOT, EDIT..and delivered in the format you need . Although online delivery of video content is very popular, some jobs still require a DVD solution. This trusted and tested format can still be an option. Pylon just finished a project for a client which required us to shoot, edit and deliver 1000 printed disc. Call us you have a need for this type of service. We have a long history of providing camera operator services to companies or organization wanting to video tape their events. Whether your event is in a large hall or conference center... or if it is located in a outdoor venue, we can shoot it. Please contact us to set it up. Pylon Productions, Inc. is a full service interactive multimedia production company based in the Charlotte, North Carolina area. We just moved from Atlanta, and are looking to find job opportunities. Our professionalism drives and executes all aspects of creative communication through imaginative projects from video to multimedia and print production. Through close, strategic relationships with industry professionals, Pylon is experienced enough to completely manage the diverse needs of large companies, yet remains intimately involved enough that you can speak with the owner on a day to day basis. At Pylon, we do not believe in farming out projects to unknown vendors, leaving clients at risk for inconsistent results. Instead, we have built close relationships with talented professionals who share our team's commitment to delivering the highest quality products using the latest cutting-edge tools to merge your style with Pylon's artistic and professional approach. Through strategic planning and consultation, Pylon works closely with our clients to set and reach the specific goals and objectives initially brought to our table.